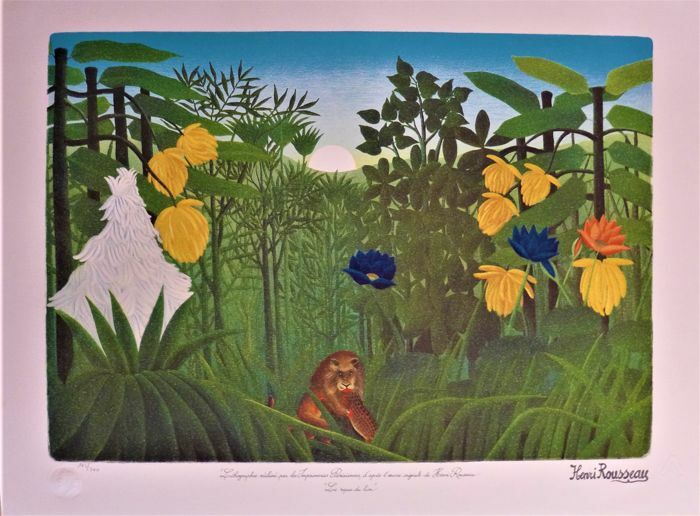 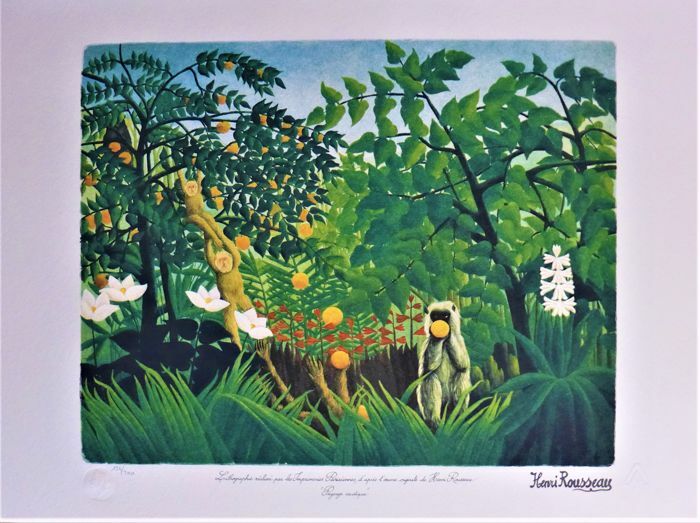 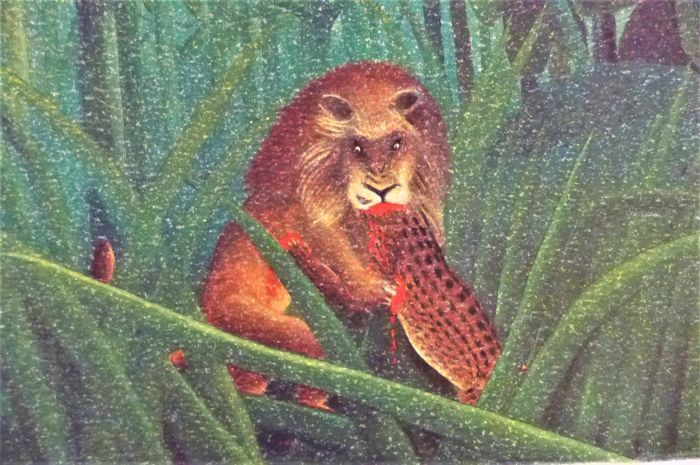 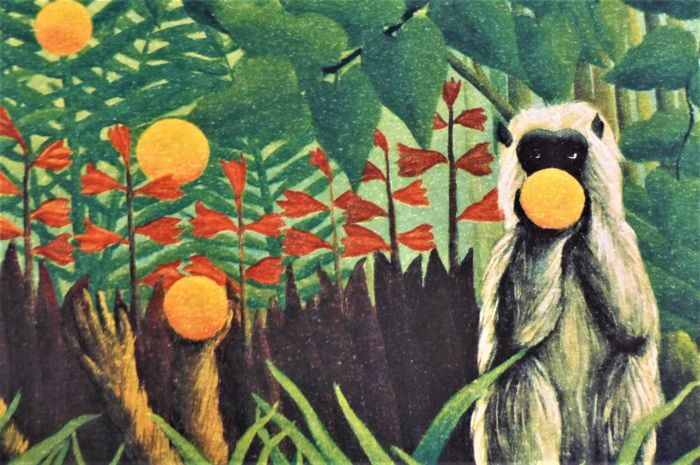 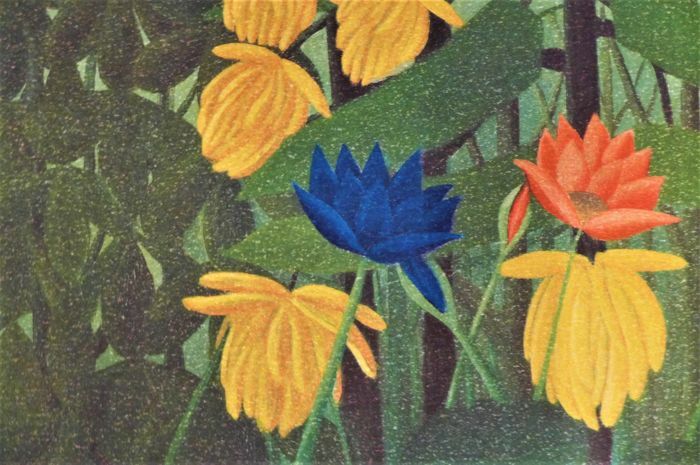 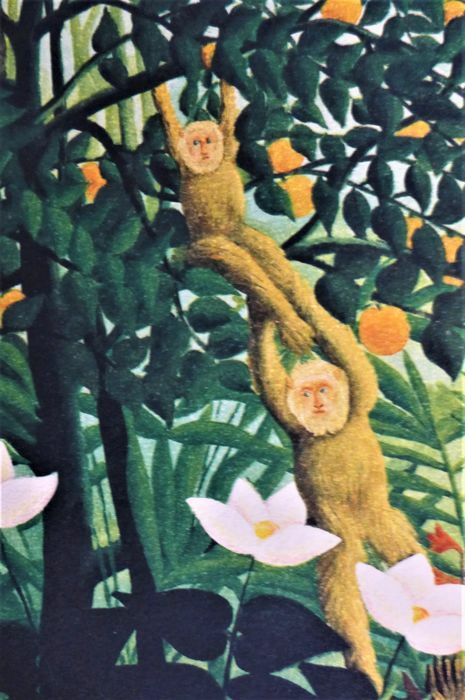 Lithograph printed by Imprimeries Parisiennes, after Henri Rousseau’s original artwork. 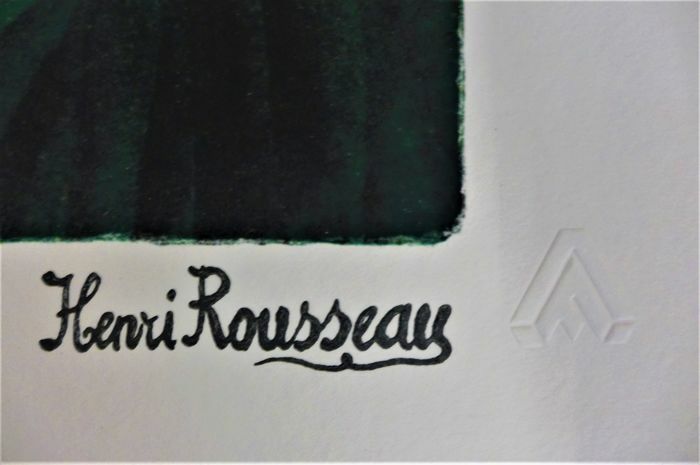 Signed on the stone, numbered in pencil, with a dry seal on the paper. 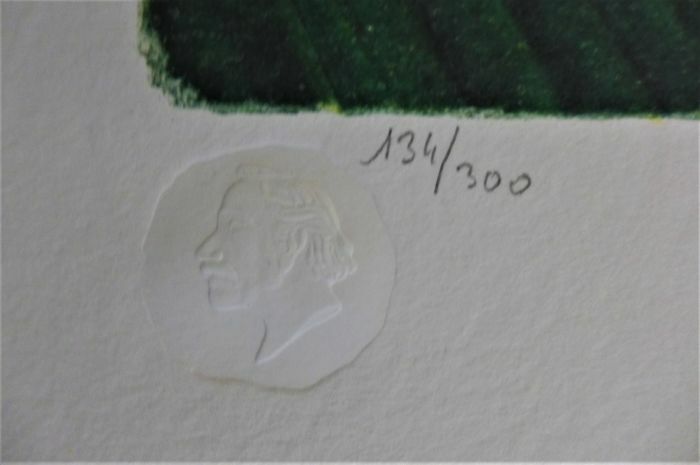 The numbering may be different from the one represented in the photographs.